Explore all the historic Brandywine Valley has to offer on this private sightseeing tour in southeastern Pennsylvania. Customize the itinerary to meet your interests. Travel over rolling hills to this Chester County gem. Visit Longwood Gardens, the Winterthur Country Museum, the Nemours Mansion and Gardens, and much more. Take a guided tour around the Brandywine Battlefield Historic Site, if desired, and find the best places for a lunch break. Philadelphia hotel pickup and drop-off included. 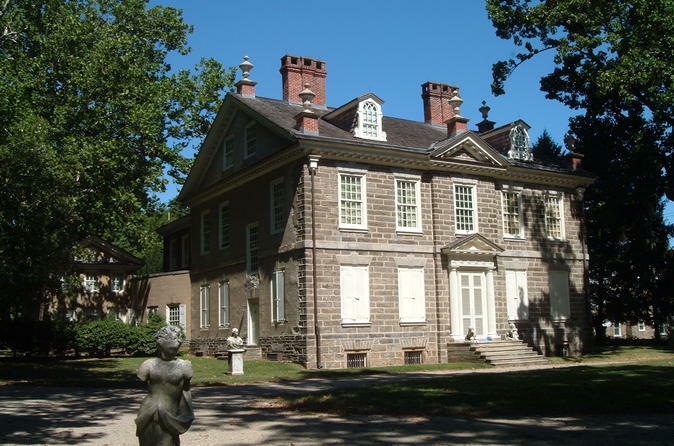 This private day tour to Chester County and the Brandywine Valley begins with a Philadelphia hotel pickup or meet at our office on Arch Street. Choose from a 6-, 8-, or 10-hour tour. The Brandywine Valley is less than an hour from Philadelphia and it's surrounded by lush countryside and rolling rivers. There are many wonderful attractions in the area to choose from on this customizable tour. The most popular points of interest include Longwood Gardens, home to an assortment of world-class museums and gardens; the Winterthur Museum, Garden, and Library, featuring one of the most important collections of Americana in the US; the Brandywine River Museum, showcasing regional and American art; plus the 300-acre Nemours Mansion and Gardens, and the English-style Rockwood Museum and Park. There are also a number of wineries, like Chaddsford Winery, which provides wine tours and tastings. In addition to these attractions, the guide will be happy to provide a tour of the Brandywine Battlefield Historic Site — which brings to life the largest engagement of the Revolutionary War — or make suggestions for lunch (own expense). The guide is happy to make recommendations to best build a schedule, depending on the length of the tour. At the end of your tour, return to Philadelphia with a hotel drop-off, if applicable.